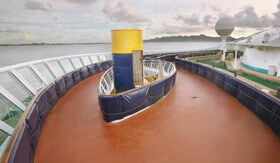 You’ll be on the ride of a lifetime when you choose The North Star onboard your Royal Caribbean cruise. 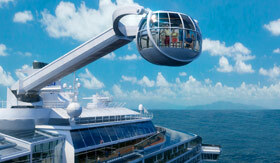 Hop into the “jewel” of the ship and take a ride 300 feet above the ocean with unbelievable, 360-degree sweeping views. Think about the wind whipping past your face when you get on the high-flying Ripcord skydiving simulator. 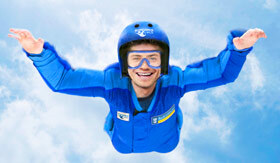 iFly’s industry-wide first will make you feel as though you’re flying in the air, while onboard the ship! 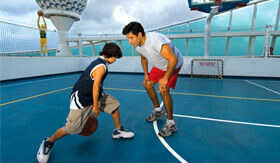 You’ll stay active all day long when you head over to the SeaPlex with your seafaring friends and family. With a great selection of games, sports and more, you’ll spend your days competing and building friendships over a game of basketball one day, or some bumper cars the next. 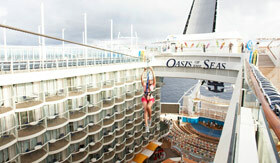 Prepare yourself for an onboard thrill like no other with Royal Caribbean’s Zip Line. You’ll be zipped across the Boardwalk—9 decks above. The wind will be flying through your hair as the undeniable smile spreads across your face. 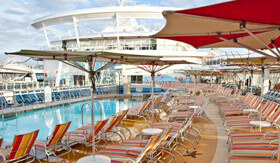 Reservation NOT required, included in cruise fare. 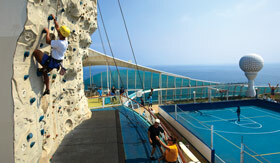 Prove your mettle with a serious climb to the top as you try your hand (and feet) at the onboard rock climbing wall. Whether you’re a novice or a legend, you can choose your route and show your climbing prowess as your friends and family watch from 40 feet above deck. 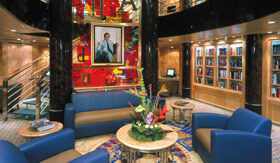 Reservation NOT required, included in cruise fare. Ride some man-made, although just as exciting, waves with the onboard FlowRider surfing simulator. Shout a big “cowabunga” and hit the board hard on this 40-foot long surf simulation while others can watch in stadium seating. To ensure that you don’t wipe out, you’d be wise to try a personal lesson (offered at a nominal charge). 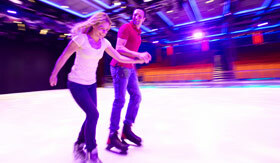 Glide and slide your way to icy delight when you choose to do some ice skating onboard. Put on your skates, and try a spin or two with the whole family. 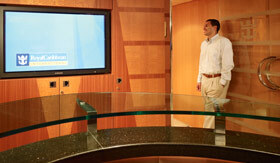 Ice skating is available on select ships, so contact our expert consultants to learn more. 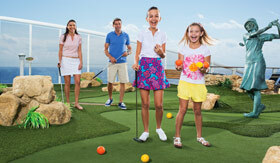 Enjoy some fantastic family fun on the mini-links with an arousing game of mini golf. You’ll have a super day as you play some putt putt looking out upon the waters. 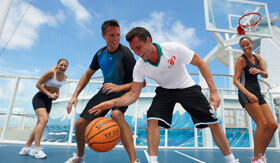 Whether you’re honing your personal skills or hitting the courts for a serious team game, you’ll have the opportunity to show your competitive edge on the sports courts, or in one of Royal Caribbean’s tournaments. Who says you can’t roller skate on the seven seas? Lace up the skates and hit the inline skating track for a smooth and spectacular time with some padded barriers for protection. 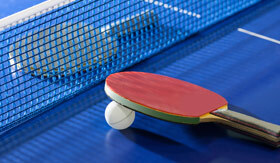 Pick up the paddle for some fun, laughs and serious competition with some onboard table tennis. 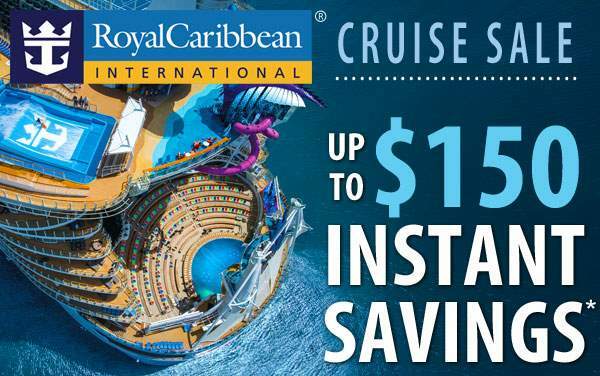 Full-size action, and even a winner-take-all tournament or two will be available during your next Royal Caribbean cruise. 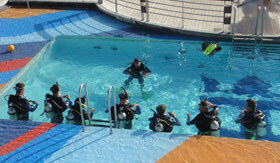 Dive training while onboard and scuba in the pool—who could ask for more? There are multiple levels depending on your skills, and you can prepare yourself for the real thing once you get to the waters of your destination! Must be 12 years old or above. 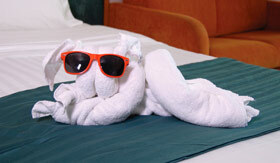 Get that golden tan you’ve been looking for or lounge in the shade on the Pool Deck. Of course, you’ll be sure to want a swim as you enjoy the live music, poolside cocktails and comfortable lounge chairs. Supreme relaxation comes in the form of Royal Caribbean’s whirlpools, bubbling away any stress you may have. Some even cantilever up to 13 feet beyond the side of the ship, giving you a spectacular view as you enjoy the swirling waters. 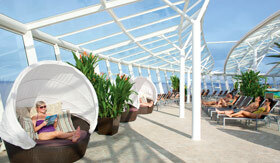 There’s an enclave for only the adult cruisers onboard—the Adults-Only Solarium. Grab some light and easy cuisine, hop into the whirlpool and take in the calm and classy surroundings as you feel your worries slip away, and relaxation set in. If you’re looking for some solitude and peace, you can find a calming and wonderful environment in the library and card room. There are various styles of literature, some board games and card tables for a nice, relaxing game (however you like to play). You can prepare before you head ashore with the language learning program, in which you’ll learn greetings, phrases and questions in seminars. Who’s ready to hit the dance floor? Learn the steps (and a few inside techniques) of salsa, swing and ballroom dance with some absolutely stellar instructors. 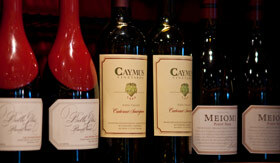 Spend some time treating your senses and palate with a wine tasting course during your cruise. You’ll learn the niceties between pinot and port, or syrah and chardonnay - all while meeting some peers with the same fine taste as you do. 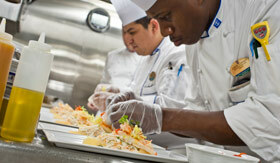 Watch and learn, culinary hopefuls, as you’ll be shown the techniques, lent a few tips and even taste the fine fare of seasoned chefs, right in front of your eyes. Grab your beads and get ready for some jewelry making revelry. You can craft a gift for a friend, a present for a loved one or your next lucky bracelet. Materials fee may apply. 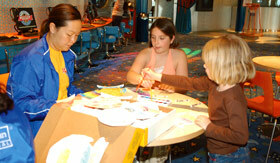 Make memories come alive with a scrapbooking class. You’ll theme your pages that will bring you back into the moment even years later. There are plenty of borders, cutouts and “embellishments” waiting for you to utilize! Materials fee may apply. Twist and turn, bend and shape, and learn the fine art of napkin and towel design with a folding artistry class. 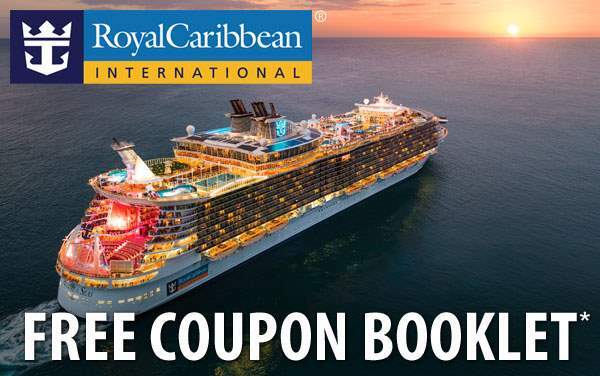 Depending on the sailing, you may find yourself being versed in the fineries of stargazing, the best tips for weight control, or one of many other topics with Royal Caribbean’s guest lecturers. Shop until you drop… anchor. 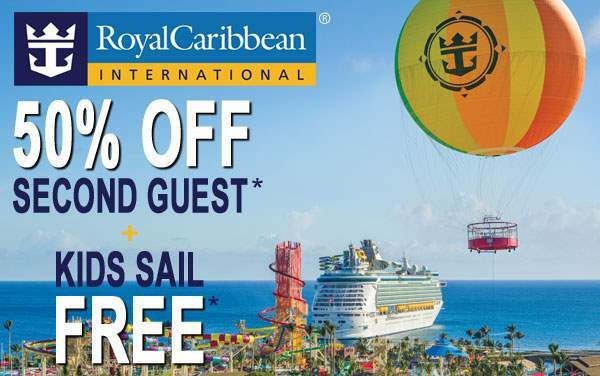 That’s right, there are more shopping options than you could ever imagine onboard your Royal Caribbean cruise. 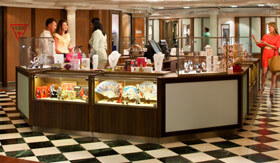 Take advantage of the duty-free liquor, Art on Royal, cameras for purchase, a Coach store and much, much more. Just give our consultants a call to find out what else.